Charlotte, N.C., Oct. 2, 2018 – Big Brothers Big Sisters of Central Carolinas along with more than 270 Big Brothers Big Sisters affiliates across the country, has unveiled a new, modern look and brand repositioning with a goal of recruiting more diverse volunteers. To further reinforce the brand’s mission, Big Brothers Big Sisters of Central Carolinas has launched SUCCESS, a new program for Littles in grades 8-12 and their Bigs. SUCCESS, or Students Understanding College and Careers through Education, Skills and Support, will give these matches monthly opportunities and experiences focusing on topics such as SAT prep, finding the right college, resume building and interviewing skills. “In our community, we know that youth are facing numerous challenges. The new brand and programs such as SUCCESS are designed to help us ensure we can serve more children in Mecklenburg, Cabarrus and York counties with volunteers and the programs that they need to be successful in life,” said Dunlap. The brand repositioning and launch of SUCCESS are just the beginning. 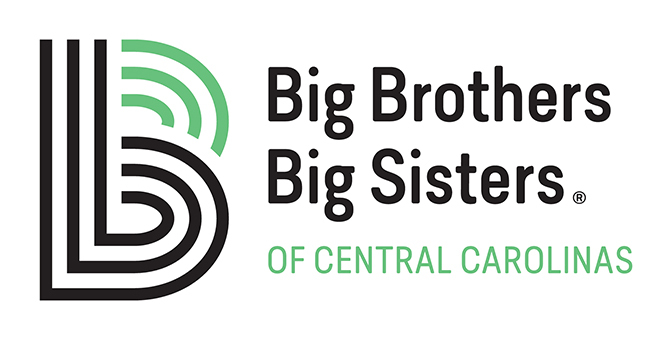 In the coming year, Big Brothers Big Sisters of Central Carolinas will transition to a new, modern, nationwide technology system, participate in new training, and use the new positioning to refocus efforts on recruiting local volunteers. Learn more about the new brand positioning and how to get involved at bbbs.org/bigpotential. For more than 100 years, Big Brothers Big Sisters has operated under the belief that inherent in every child is the ability to succeed and thrive in life. As the nation’s largest donor- and volunteer-supported one to one mentoring network, Big Brothers Big Sisters makes meaningful, monitored matches between adult volunteers and children, ages 5 through 18, in communities across the country. Since 1972, Big Brothers Big Sisters of Central Carolinas has been providing mentors for children in this region. Today, we serve more than 1,500 children in Mecklenburg, Cabarrus and York counties, through traditional community- and school-based mentoring and innovative specialty programs that connect caring adults with local children in meaningful one-to-one relationships.